The latest mobile operating system from Microsoft is being dominated hardware wise by Finnish smartphone manufacturer Nokia, but that could be about to change in the coming months as a HTC One for Windows Phone 8 is being tipped that would certainly be a game changer. It is being claimed that HTC are working on a Windows Phone 8 device that will have its design based on the successful HTC One Android smartphone, but will not be completely identical. The handset would have a display at between 4 to 5-inches manufactured from a body mostly made from aluminium. There were rumours back in April that the GDR3 Windows Phone update would include support for Full HD displays and quad core processors, and the HTC One has a 4.7-inch 1080p touchscreen display. The source is also suggesting that the handset would have support for the UltraPixel camera that is currently found on the HTC One, and the handset is tipped to be unveiled during the autumn with a release before the end of the year. HTC has brought designs and features over to the Windows Phone platform from Android before, but the handset that the company is working on now is not going to be a rehash of the Android HTC One. The Windows Phone 8 platform has been gaining some ground recently largely at the expense of BlackBerry, but if handsets that are similar to the likes of the HTC One become available more users may be tempted to give the OS a try. Would you consider Windows Phone if an HTC One type device became available? Yes!! I have tried all three platforms. 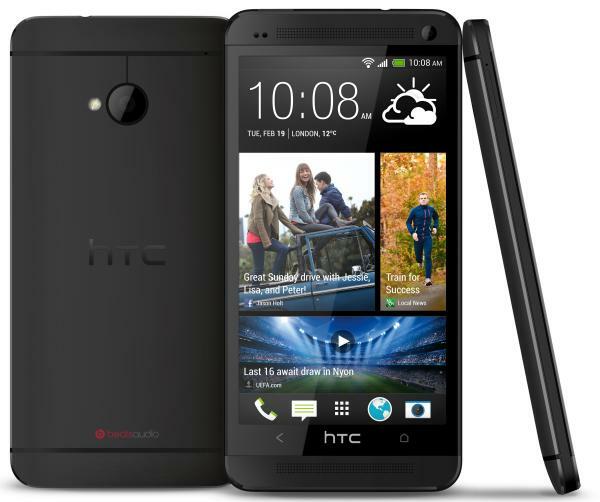 I have the HTC ONE android now, while the phone is beautiful and works great, I’m not loving android. I liked Windows a lot, but lack of apps and hardware choices made me switch to android. If the app gap closes and hardware choices improve I’ll be back to Windows. No more apple phones for me, had them for years, got tired of it. I would bet this phone in a second if it comes out. Please do it HTC! The biggest problem for WP is Nokia. Their handsets are just too bulky and…well, ugly. They shouldn’t be! The 920 is a heavy, thick, clumsy device. The HTC 8X by comparison, is an extremely tactile device. I’ve briefly owned a 920 and currently own an HTC One. A tweaked One with WP would be a great device. It’s so comfortable to hold, given it’s size. Given how nice the HTC 8X is (I also have one) and how poorly it was received however, I doubt a WP One would help sell any more Windows devices. Windows Phone is beautifully designed and a joy to use as a phone and messaging system, but iOS and Android just cover all the bases. Right now, WP fits in as a superb back-up or travel device but not the daily driver. It’s annoying because on a number of levels it’s better than it’s competitors.